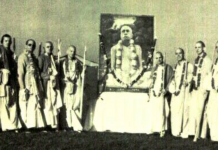 Principles of inter-missionary Vaishnava friendship as taught by the followers of Srila Bhaktisiddhanta Sarasvati Thakur Prabhupada and his disciples who opened new missions after their Guru left this world, like Srila Bhakti Dayita Madhav Maharaj, Srila Bhakti Prajnan Kesava Maharaj, Srila Bhakti Saranga Goswami Maharaj and others. To learn how to perform a vyasapuja ceremony or to deal with Vaishnavas in general is part of sistacar, the way of conduct which has been transmitted throughout generations from one Vaishnava-generation to another. It is almost boring to speak about topics which should be common sense. For example, a petroleum product is never clean and not appropriate for eating or serving guests. This is common sense. Still we see that many have not yet understood that a banana leaf is like a gold plate and a plastic, or what to speak of a white styrofoam plate, is an insult to Mother Nature and the river and not even healthy. 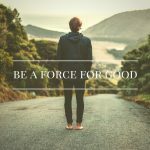 Therefore, I write these few notes so that those who want to know may apply some simple standards to increase the quality of inter-missionary love in the future. Even when an enemy comes to my home he should be received as Sriman Narayan. What to speak of a leading member of another Vaishnava-mission. A guest should first be recognized when he arrives. 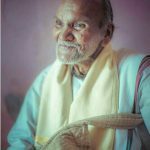 Generally, devotees from other missions do not visit by surprise, unless they have a special reason or they visit out of love and curiosity, to see what beautiful service the other mission is doing. Especially when brahmacaris or sannyasis of another mission visit you, they should be easily detected since they are not seen everyday in your mission. 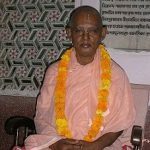 In the Gaudiya Math we have wooden benches for such special visitors to inquire about the purpose of their visit, who their Guru is and what family relationship we have with each other. 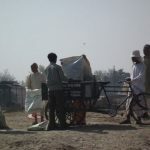 Then we offer them some water and invite them to take darshan or to meet with a senior member of our mission. Who would not like to tell his Guru or temple leader that some venerable Vaishnavas from another mission has come to visit? Then we invite them to take prasadam and inquire how we can cooperate with them to increase our spirit of the greater Vaishnava family. Believe it or not, that is the essence of any daily dadati pratigrihnati among the Gaudiya Vaishnavas. It is also the tradition among the Gaudiyas to hold big festivals on the day of the appearance and disappearance of their Guru. For this, generally out of respect, they invite a specific number of representatives from other missions to serve them on their Guru’s behalf; not inviting others means: “I have a real problem with your Guru or your devotees”. 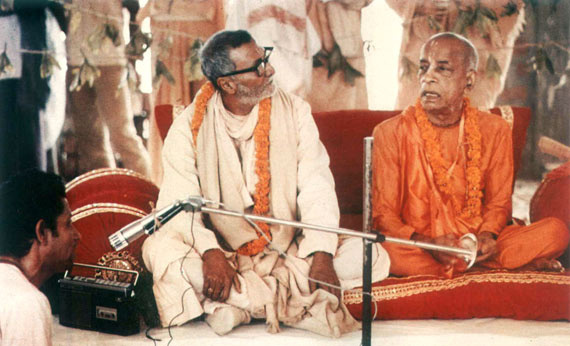 This was explained by Srila Rupa Goswami, who invited different Vaishnavas to Vaishnava seva prasad to discover who was upset with him and would not come. These invitations are a good way to express love and respect for each other. Just when a leader of one mission accepts an invitation for any event they are invited to speak Hari-katha, to listen about their love and message. 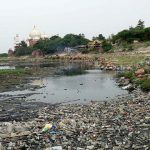 It is sad when these standards get lost or are not incorporated because of growing distances between the devotees. Some topics such as Dham-seva are actually in need of everyone's participation. To advance and show the other non Gaudiya math missions about our care and unity for such topics will only increase the glory of our Guru-varga. 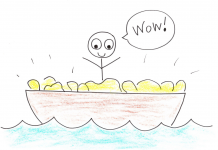 Thanks you so much for reading these simple observations. Do our policitians hate Hindu religion?